In the mythos of the videogame industry, there lie titles that never were. Games announced but never finished, sequels to beloved franchises, or the next big experience from a respected studio. For a long time, that’s what The Last Guardian was to many – a great idea from Team Ico, the acclaimed studio that brought us Ico and Shadow of The Colossus, but something we’d never see. 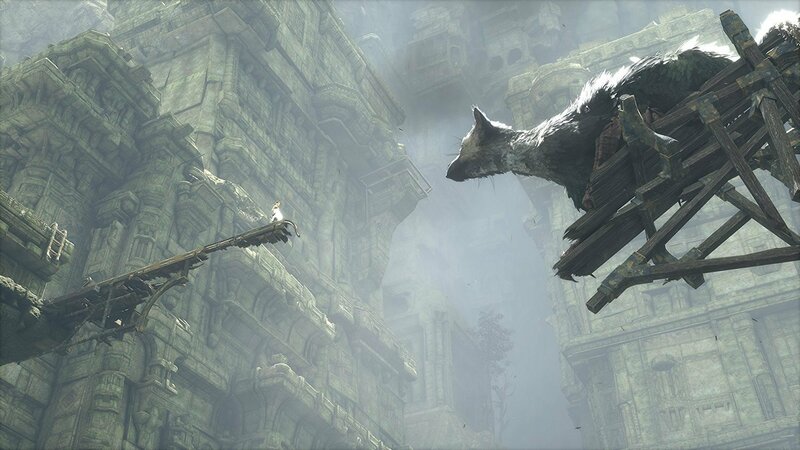 It’s not a secret that The Last Guardian was stuck in development purgatory for the last decade since it was announced back in 2006, but 2016 has been a weird year, so it’s only fitting that we get it now. And it’s only fitting that in 2016, The Last Guardian did not live up to its lofty expectations. 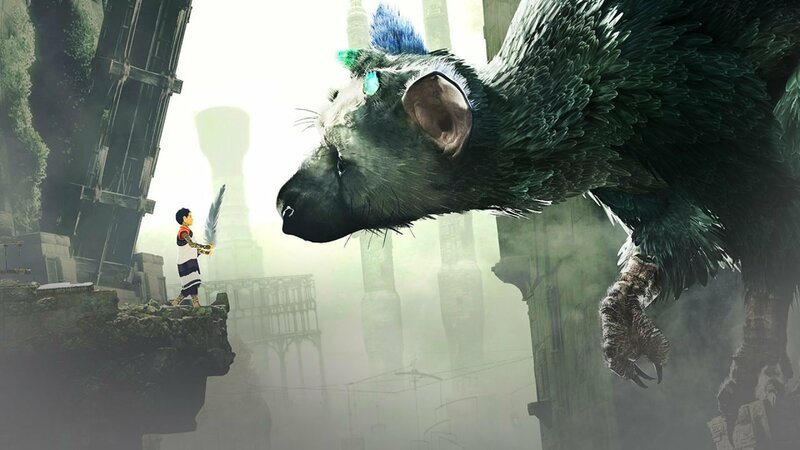 What’s frustrating about The Last Guardian is that beneath the sluggish gameplay, there is an enjoyable experience. It won’t win any awards based on its gameplay, but I’d argue that was never going to be it’s strongest suit. Where The Last Guardian excels is in its simplicity, and that starts with its story. 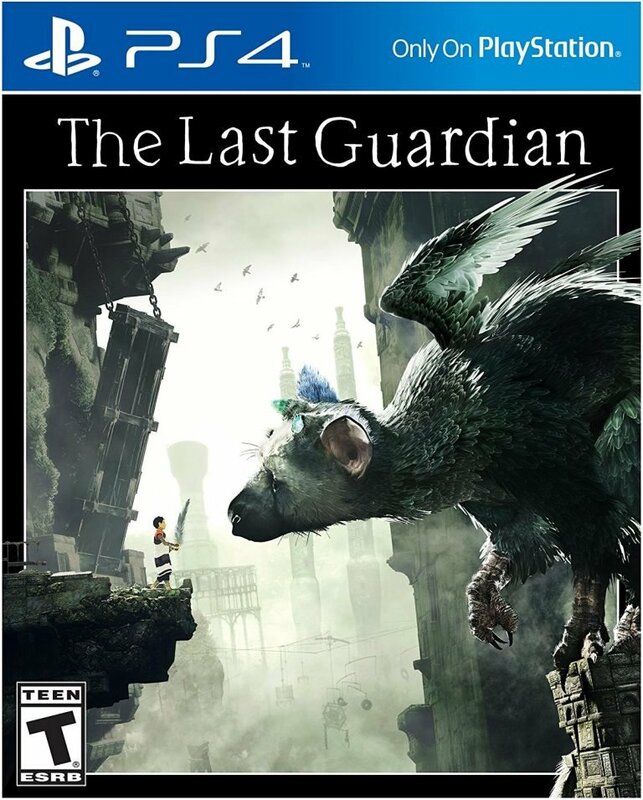 Playing as a nameless boy who awakens in a dungeon with a dangerous beast and no recollection of how he got there, players start to build a relationship with the creature, named Trico. 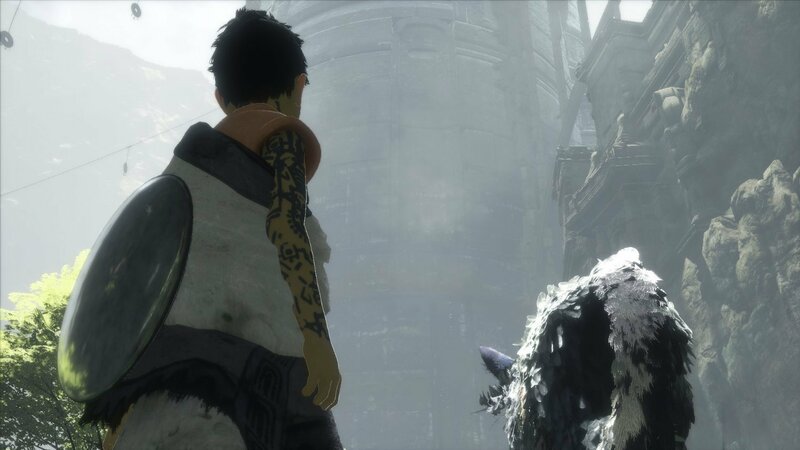 By taking the spears out of his skin, and unchaining him from his harness, Trico begins to trust the boy and vice versa. The two realize they’re in this together, and the only way to get out of this fortress is with each other. They work their way through what appears to be a sky palace in an attempt to escape. But while the escape is the overarching story, the game focuses more on the relationship between man and beast. It’s a touching bond, one that doesn’t need much explanation or narrative to really convey. In many ways, The Last Guardian is a grander “boy and his dog” story. One where the dog is about 20 feet tall, is also kind of a bird and shoots lightning from his tail. There’s a lot of subtly in the way Trico viciously protects the child, or in the tranquil downtime, how the beast generally shows affection. There is a lot of emotion in the bond between Trico and the child, and in that sense this game is a success. To me, the most impactful moment was when I realized Trico’s eyes change colour depending on a situation. When I noticed his eyes turn to a pinkish purple when he’s scared, it brought me back mentally to the start of the game, where I first met Trico. Originally, I assumed he was a dangerous beast, but in reality it was a frightened animal, caged and even more afraid than the boy trapped in the same room. Those are the types of situations that really make The Last Guardian feel intimate, and in many ways it makes Trico one of my favourite non-playable characters in the medium. He’s a big dog in all of his mannerisms, and it’s actually adorable. Speaking from the point of view of an animal lover and big dog owner, Trico is one of the best adaptations of an animal in videogames, and I fell in love with him. But even as a compliment to the game he works in so many ways, that if the game was designed a little better, his presence alone would make up for most of its shortcomings. Most of the levels are laid out in a way that each room is essentially a puzzle. The reward for solving it is their escape. 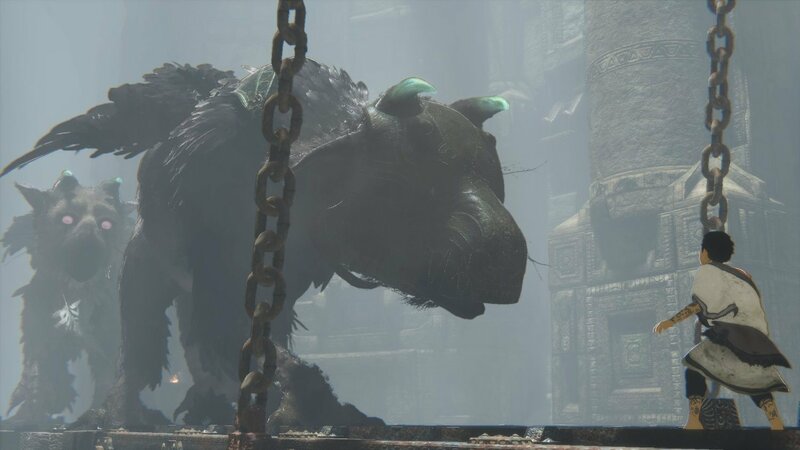 Most of the puzzles involve finding small areas for the child to crawl into to open up spaces for Trico to get through, followed by a sequence where Trico can show off it’s ability too. Trico is not directly controlled, you can only direct him where you want him to go like in Pac-Man 2, but he’s your protection, your ladder, your flashlight, your multi-tool that you should be able to use almost any time you need him, unless there’s a bit of tension required from a gameplay perspective. The only problem is Trico is a bit of a technical disaster. It requires a lot of patience and sometimes luck to direct properly, and even then he’s pretty unresponsive at it’s best. I encountered so many situations where my progress was completely halted for almost 20-minute chunks because Trico would not obey my orders, only to do what I asked without my direction later. I lost count of how many times he would stop during a platforming sequence, just to turn around so he could reset himself to start again. In a sense, that’s what it’s like dealing with an animal, but it’s not really welcome in a videogame. That mixed with controls that only work some of the time make for what can only be described as a frustrating gameplay experience. In many ways, the main antagonist in this game isn’t any of the enemies you encounter; it’s the game itself. When action picks up, The Last Guardian’s frame rate dips pretty noticeably, making actions really difficult. On top of that, you’re constantly fighting with a finicky camera and controls that barely function. In open areas where there is space to move relatively freely, the game seems to work. It’s once you’re concealed in rooms that there are issues. But when everything works, during action sequences, or even during small intimate moments, I remember why we wanted The Last Guardian for all these years. Team Ico knows how to evoke emotions without the need of big cut scenes that detach the player from actual gameplay. In a way, one could argue Team Ico understands videogames as a narrative art form far better than most studios. But this isn’t their best work. Even visually, I can’t say The Last Guardian is appealing. 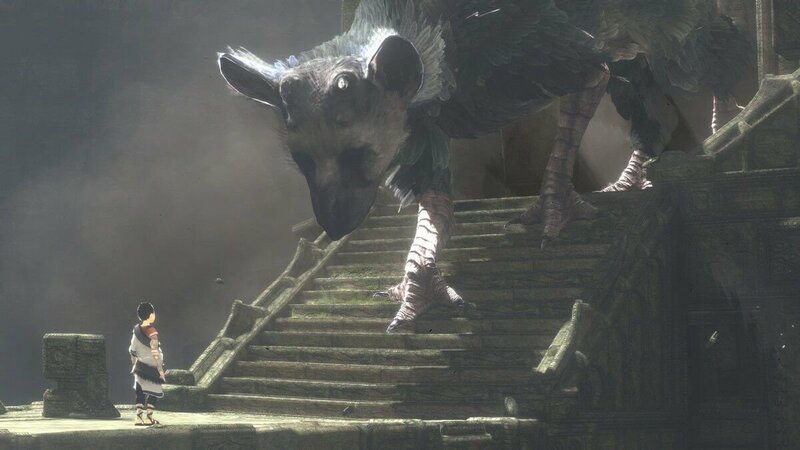 Outside of Trico, who the closer you get to him the more his small details look right out of last generation, most of the environments are bland, brick rooms, while the outside is a lot of white bricks and white sky. Some colours, like the boy’s orange in his outfit, or the green grass pop, but they don’t really look nice in typical sense. 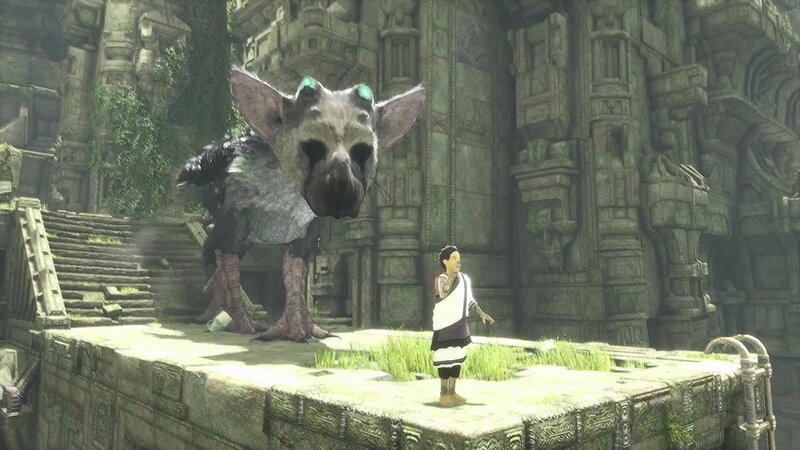 Somehow it manages to fit together to make a game that isn’t offensive to the eyes, but I can’t say there is anything that stands out—again aside from Trico, but that’s more of his design than anything else. Hopefully, that’s what The Last Guardian will be remembered for. Its interesting design choices give it the feeling that this is a unique experience, but almost all of its potential is dragged down by some really terrible gameplay. Almost every aspect of this game needs more development time, and I feel weird saying that since it’s been a decade since the game’s initial announcement. But this is the game we’re left with, and it’s definitely a blemish on Team Ico, a studio known exclusively for their generation defining titles. But there are still remnants of their past greatness. Their work at simple storytelling expressed through gameplay is still top notch, and something every studio should take note of, but it’s not enough to save this game. Sorry, but the decade long wait wasn’t worth it. Somewhere underneath the broken gameplay and terrible camera controls lies a lot of potential for a great game.